A compilation of definitions of common coding, billing, procedural, HIPAA, insurance and diagnostic words,phrases, terms, acronyms, eponyms, and abbreviations. 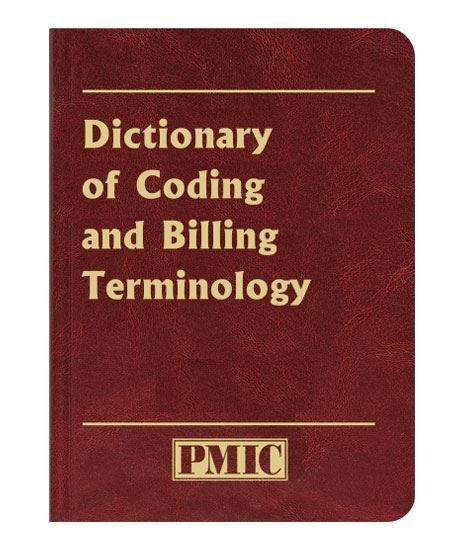 Our new coding and billing dictionary is specifically designed for medical coders, billing professionals, HIPAA compliance staff, and third party payers. Features simplied definitions of coding, billing, compliance, insurance, procedural and diagnostic words, terms, phrases, acronyms, eponyms and abbreviations. Our hard-cover dictionary is compact, thumb-indexed and designed for heavy use.